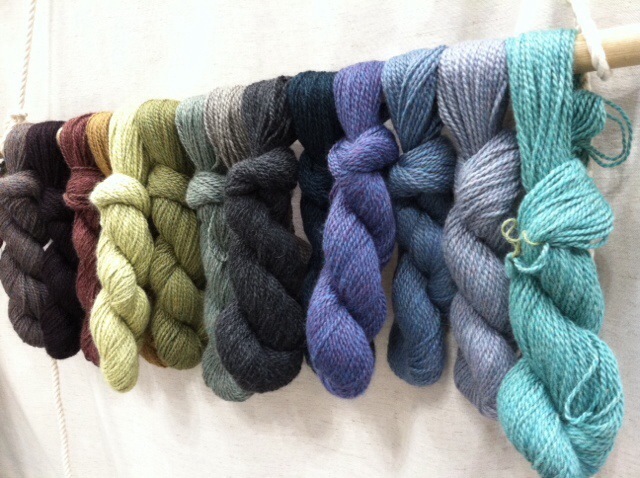 Another day of yarn-ordering is behind us, and we have so many good things coming for the fall! 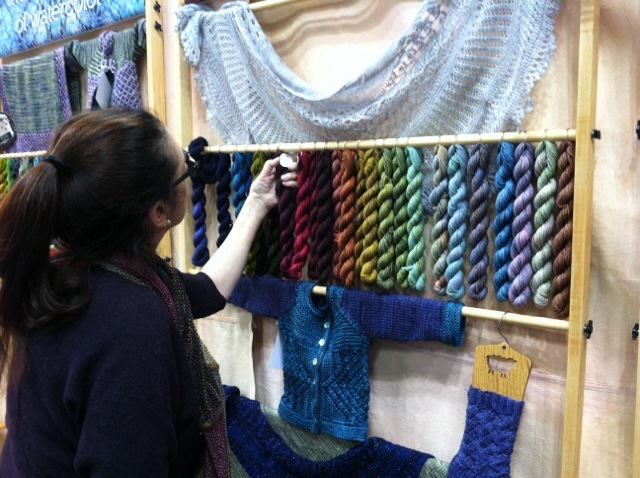 Early in the day, we checked in with Malabrigo. 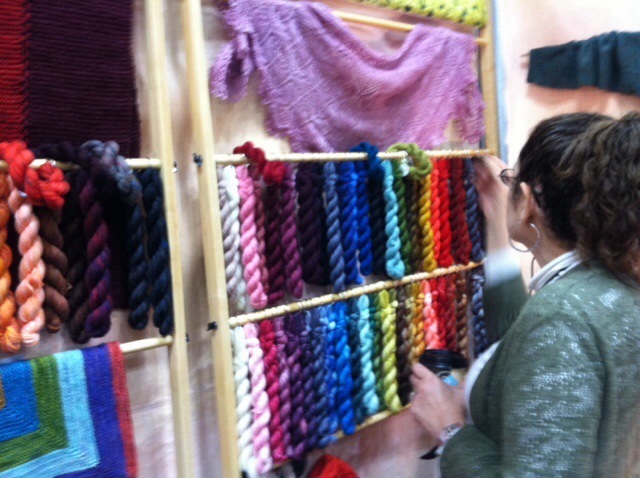 We also paid a visit to Dream in Color, mulling over their full range of colorways, mixing and matching. 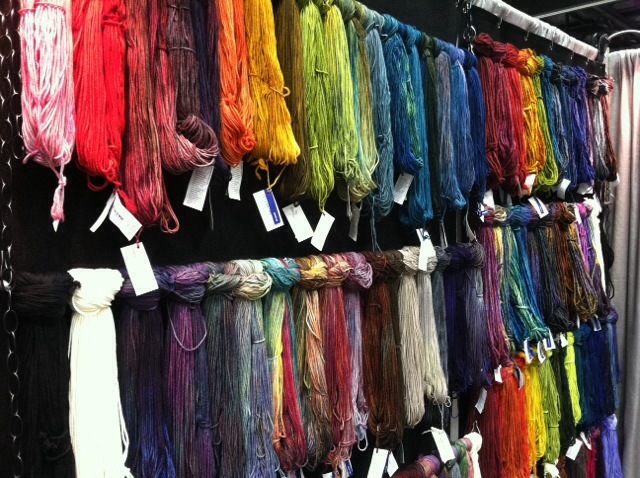 We always love to see what the Fibre Company is cooking up, and this year was no exception. 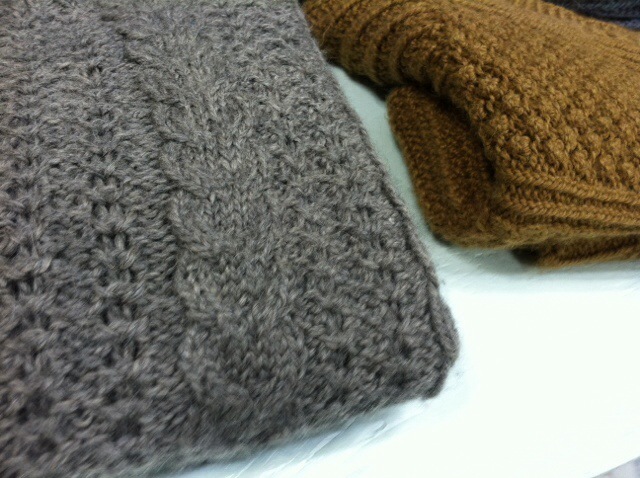 We also ran into Sandy Blue, who designed the “Autumn Tam” I just finished knitting in Jamieson’s Shetland Spindrift. 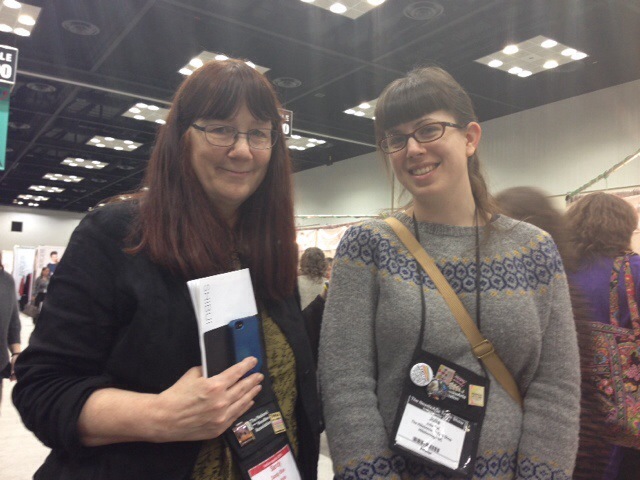 I was so glad to meet her, as it gave me a chance to thank her in person for her amazing pattern and impressive color-sense. Tomorrow we have a few loose ends to tie up before we hop on a plane and head home. Looking forward to opening the shop again on Tuesday–come in and see us at our regular business hours!